The Outback Hair Salon would like to say a HUGE Thank You to all the clients who donated money for the sponsored walk completed by Paula & Jody on Sunday 19th May. 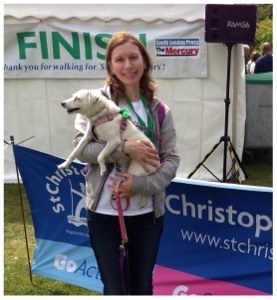 The salon raised a total of £254 for St. Christopher’s & we had a really good time on the walk. So, once again, thank you all so much. Happy New Year From The Outback!